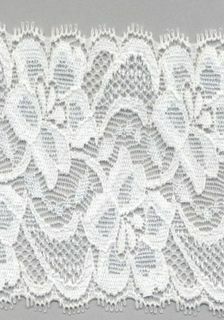 A beautiful stretch lace, ideal for lingerie and garments 2.5cm wide. Sold in 2 meter packs. You get 1M of each cotton zakka ribbon shown. A cotton ribbon lucky dip! 5 meters of all between 50cm and 1 meter long. I am clearing out the ribbon so there is a good chance you will get more than 5 meters. 5 Mtrs of Satin ribbon 1cm wide. Happy to mix colours (min order must be 1 metre per colour). Please just leave not at checkout as to which colours and amount required. A ric rak lucky dip! (not the bad kind where you get 5 meters of gray) 5 meters of all between 50cm and 1 meter long. Zakka Style Cotton Ribbon. Lovely Apple Pattern. Black, Green & Red on Natural. Width 15mm Price is per metre. Zakka Style Cotton Ribbon. Lovely French Pattern. Blue & Red on Natural. Width 15mm Price is per metre. Zakka Style Cotton Ribbon. Lovely Bunting Pattern. Black & Red on Natural. Width 15mm Price is per metre. Zakka Style Cotton Ribbon. Lovely Bunting Pattern. Rainbow colours on Natural. 1.5cm wide, price is per meter. Price is per meter **Please check extra photos as this is an end of line and each coluor is a different style Great for wedding dresses or corsets that require button fastenings. The loops are stretchy and they extend over the buttons. Zakka Style Cotton Ribbon. Lovely Cards Pattern. Black & Red on Natural. Width 15mm Price is per metre. 100% cotton 6mm Ric Rac colour Black. Price is per metre. Minimum order is 2 meters. 100% cotton 6mm Ric Rac colour Mustard. Price is per metre. Minimum order is 2 meters.